Viet Nam has been ranked sixth among the seven budget-destinations to travel to before you turn 30, according to a list released by Cutacut, a digital content company. If you speak to anyone who is an avid traveler, they’ll tell this: traveling is for the soul, what eating is for the body. “Again, Viet Nam is a good option to tie-in on your trip to Thailand without turning you finances upside down,” Cuttacut wrote. Sri Lanka tops the list, followed by Thailand, Turkey, Azerbaijan, Cambodia, Viet Nam, Indonesia. Earlier, Viet Nam has been ranked 13th among the 20 best places to visit in October, according to a list released by Condé Nast Traveller, a UK travel magazine. 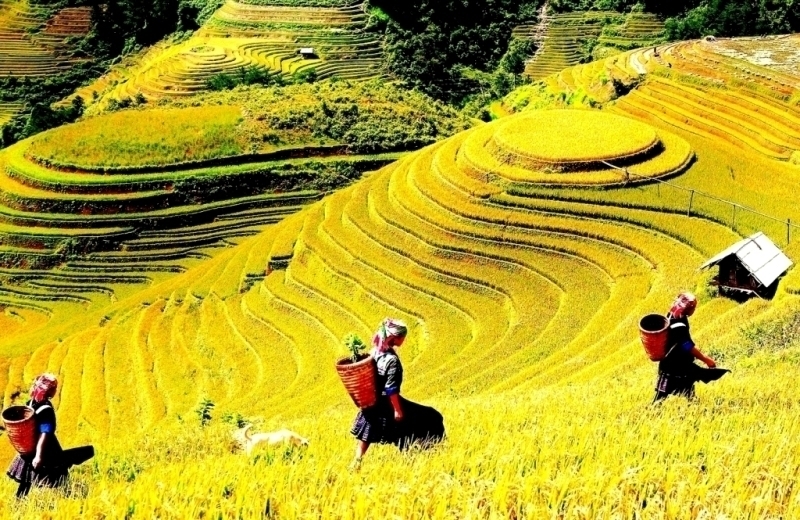 “October is the beginning of dry season in Viet Nam’s north and south, where monumental natural spectacles and buzzing city scenes both abound. Up top, hill station Sapa is the gateway to misty treks, Hanoi is all chaos, condensed-milk coffees on low plastic stools and some of the best food you’ll ever taste,” Condé Nast Traveller wrote. Viet Nam welcomed some 11.616 million foreign visitors in the first nine months of 2018, an 22.9% increase from the same period last year, the General Statistics Office (GSO) has said in a monthly report.